DALLAS, TX--(Marketwire - May 14, 2008) - MumboJumbo, leading developer and publisher of premium casual games, today unveiled a bevy of new content that it will bring to the marketplace during the second half of 2008. On the heels of a successful first quarter in which revenue exceeded an aggressive sales forecast, the company is positioned for another year of strong growth. Sales for the first quarter, which exceed Q4 2007 figures, were driven in large part through the release of several key retail titles, including Mortimer Beckett and the Secrets of Spooky Manor, Luxor Pharaoh's Challenge for the Wii, Blokus, Polar Games 2 and Build-a-lot. Exploring games across five different genres, MumboJumbo will kick off the third quarter with Little Farm, a farm-fresh matching game. The basic mechanic of the game involves clicking on a patch of the field and dragging out the mouse to form a rectangle that has four patches of the same color in each corner, thus watering and harvesting the plants within the rectangle. Little Farm will launch online at popular game portals at the end of May for digital download, followed by a retail release in September. In July, fans of hidden objects games will be able to download Discovery. The seek-and-find, travel game show, takes players through six episodes around the world and across the U.S., pitting the player against colorful contestants in a hunt for a list of objects located throughout exotic locales. "We know that hidden object games do well online and at retail, and we are confident that Discovery will become an instant favorite for fans of MumboJumbo games," said Mark Cottam, CEO of MumboJumbo. "But what makes this game really great is its production value and fun game play -- the game show setting, eccentric characters and re-playability of episodes give this game an edge." July also signals vacation time for Santa's mischievous helpers. In Elf Bowling Hawaiian Vacation, those crazy elves take to the sand and surf in the latest installment of the viral phenomenon. The Elves will be back later in 2008 in time for the Holidays in Elf Bowling 8 1/8. Also on the docket for MumboJumbo's third quarter is Little Home on the Hill. Set on the frontier, the game follows an adventurous family as they meet their fellow settlers and make a home and lives for themselves. Little Home on the Hill will offer extended play area and more interaction between characters than previous forays have demonstrated. The game will launch digitally in August and be available at leading retailers for Holiday 2008. "We're proud of the titles we've developed for the third quarter of this year," said Cottam. "And, we're hard at work on some very exciting things for the end of 2008. We've got an incredibly innovative game mechanic in the works for the next installment of 7 Wonders, and a never-before-seen game play mode we'll unveil in LUXOR 4. In addition, we have several games based on original IP and unique game play mechanics that we intend to release before the end of the year." MumboJumbo games are available for digital download at www.mumbojumbo.com and many are available at retailers nationwide. 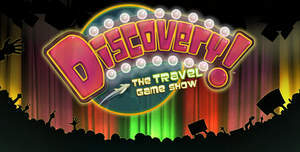 Disovery, a hidden objects game that takes players through six game show episodes and international locations, will launch digitally in July. The seek-and-find genre has become increasingly popular in the casual game industry. Little Farm will be available for digital download in the coming weeks at popular game portals.